A chapter from my first ever book has been featured on the Daily Literature Deviations. They promoted my work in their September 26th, 2012 edition and I wanted to send out special thanks to them. It was a wonderful end to a really poor day for me. I discovered that my work had been featured, after taking a sick day and nipping onto the site. When I looked at the comments for the first chapter of my book, I couldn’t believe my eyes and went from a lurgy filled day to cloud nine. I’ve struggled to get my work out into the community, and anyone who has walked this path before me will understand where I am coming from when I say it is so hard, and can really get you down at times, so when I looked and saw my work, I was instantly lifted again, and really grateful for the recognition. I would like to send my gratitude out, and give special thanks to NicSwaner who suggested my work and to LadyofGaerdon who featured my work, giving me such a fantastic write-up. They are fellow artists and very talented. I write because I have a head full of story which I want to share with the world. It’s a story which keeps unfolding and every time I think I’ve reached the end, another bit unravels, so to hear that I’ve put something out there which has brought enjoyment to others, is more than satisfying to me. It gives me a boost, every time someone tells me they have enjoyed my work. Daily Literature Deviations, you have made my day, and when I’m feeling better, I will do a celebratory dance around the room. Thank you to all who have followed my work and supported me. You are the reason I write – you are the best! Brava, Serina! I know all about the agony and ecstasy of creating a work from the body of your soul, and then summoning up the courage to present it to the world. It’s astounding how one bit of recognition can lift us out of nearly any muck and mire. (And, unfortunately, by the same token, one bit of misplaced judgment can drag us right back down again.) Cloud Nine is such as soft, inviting, and welcoming place to be, isn’t it? Thanks for coming over to Be Whole Now for a visit — and blessings on your book, your photography, your poetry, and all the other gifts you are bestowing on the world. Thank you so much for your kind words. You couldn’t have said it any better. 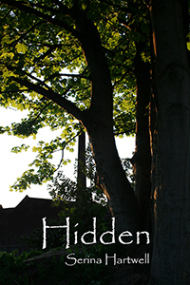 I’m so close to publishing Hidden and yet I’ve never been less excited. I’m lacking in energy, warn out by the fact that it has been such a long journey. I will dig deep however, and find the energy to complete this journey, before starting my next. It certainly has been a roller coaster ride so far. Thank you for your support. I hope that you enjoy my blogs and pages. No site is meager,John. Hold your head up high and be proud of your accomplishments. Thank you for visiting my website. I look forward to sharing with you. blogger. I have joined your feed and stay up for in the hunt for more of your wonderful post. Thank you so much for your support. I can’t express how much I appreciate that. If you’re into exploring my world further, you might like to check out my website – http://www.serinahartwell.com. This links you out to all my other sites. I also make my playlists public on You Tube. Just search up Serina Hartwell. You can listen to what I listen to when I’m writing. I have many on there, but I specifically have one for each book I’m either writing, or have written.